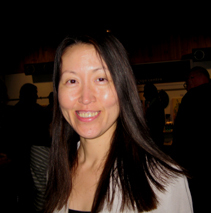 Isabelle Li (李牧原) is a Chinese born Australian writer and translator. Her collection of short stories, A Chinese Affair, was published by Margaret River Press in 2016. Her short stories have appeared in various literary journals and anthologies, including The Best Australian Stories and Southerly. She translates poetry from English to Chinese and has published in World Literature in China. Her script MOONCAKE AND CRAB was made into a short film funded by Screen NSW and premiered at the 60th Melbourne International Film Festival.